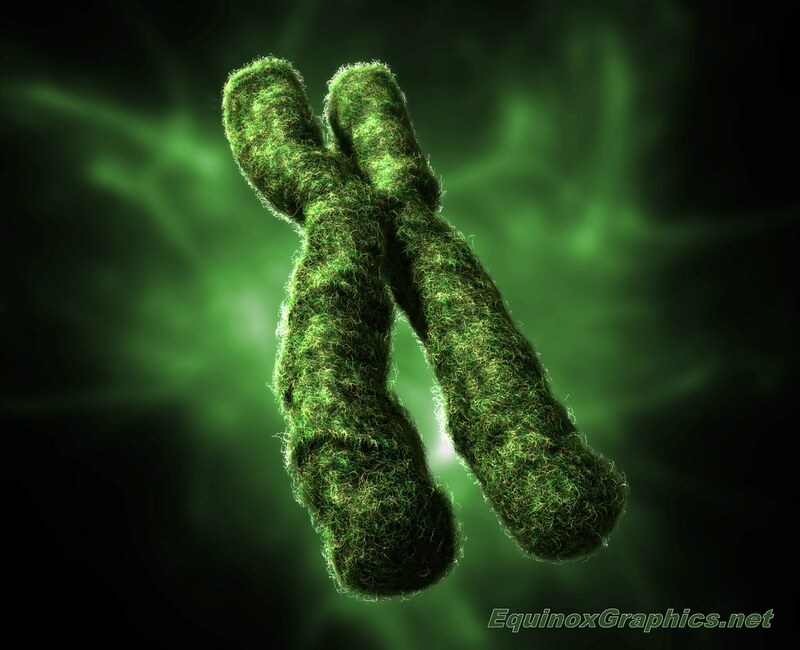 Description: Chromosome. Computer artwork of a condensed chromosome. Chromosomes, which consist of two identical chromatids joined at a centromere (centre), are composed of deoxyribonucleic acid (DNA) coiled around proteins called histones. DNA contains sections, called genes, which encode the body's genetic information, determining each cell's structure, function and behaviour. There are 46 chromosomes in most cell nuclei in a human body; 22 pairs and a gender-determining pair.